Manufactured in accordance with the set industry norms and guidelines, quality of this Regular Full Cream Milk Powder is highly standardized. This milk substitute, owing to the finest ingredients used in its making, makes it one of the finest that is available. In addition, the offered product priced reasonably, has a high preference in the market. We are considered in the market to be one of the leading manufacturers and suppliers of this highly commendable Instant Full Cream Milk Powder. Processed using the finest ingredients, its quality never deteriorates. The offered product is widely used as a milk substitute. 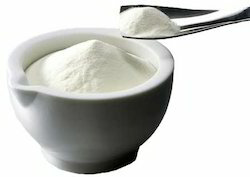 Further, the offered product is known to be soluble in water and rich in calcium. Made from the finest ingredients available, the offered Skimmed Milk Powder is known to contain minimum fat and high protein & calcium. Processing of this product done in accordance with the set industry norms, its quality is highly standardized. Further, the offered product priced at the most reasonable rate possible, has a high preference in the market.